The idea of Obedience Trials is to demonstrate the usefulness of the dog as the companion and guardian of man and not the ability of the dog to acquire facility in the performance of mere tricks. The classification which has been adopted is progressive with the thought in mind that a dog which has been granted the title of OBEDIENCECHAMPION has demonstrated its fitness for a place in our modern scheme of living. Three passes of a minimum 85 points out of a possible 100 points under at least two different judges will qualify the dog for the award Community Companion Dog, which follows after the dog's name and is normally abbreviated to C.C.D. Three passes of a minimum of 170 points out of a possible 200 under at least two different judges will qualify the dog for the award Companion Dog, which follows after the dog's name and is normally abbreviated to C.D. Three passes of a minimum of 170 points out of a possible 200 under at least two different judges will qualify the dog for the award Companion Dog Excellent, which follows after the dog's name and is normally abbreviated to C.D.X. Three passes of a minimum of 170 points out of a possible 200 under at least two different judges will qualify the dog for the award Utility Dog, which follows after the dog's name and is normally abbreviated to U.D. The exercises at this level extend on those in the Utility section. 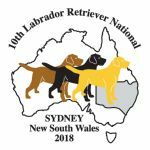 Three passes of a minimum of 170 points out of a possible 200 under at least two different judges will qualify the dog for the award Utility Dog Excellent, which follows after the dog's name and is normally abbreviated to U.D.X.